Google Releases Nexus S And Android 2.3 "Gingerbread"
The wait is finally over folks! Today Google has officially released Android 2.3 "Gingerbread" and its new flagship device - the Nexus S.
The Nexus S was developed with Samsung - in fact it is based on Samsung's hugely popular Galaxy S. The Nexus S has a 4-inch SuperAMOLED screen, a 1GHz Hummingbird processor, front and rear camera and 16GB of internal memory. All these are standard Galaxy S stuffs. However, what sets the Nexus S apart is the NFC (Near Field Communication) hardware. NFC is not popular right now. However it is expected to be a big thing in a few years. The most important thing with the Nexus S is however Android 2.3 "Gingerbread". Like the Nexus One before it, the Nexus S will have a a clean install of Gingerbread - no carrier bloatware, no manufacturer skins etc., just plain simple Android 2.3. Now coming to Android 2.3 "Gingerbread". Gingerbread is just a point release and so the interface has received just a few tweaks rather than a complete overhaul. Gingerbread is the fastest version of Android yet. It has a number of improvements over Froyo such as NFC support, a new keyboard and text selection tool, Internet (VoIP/SIP) calling, improved copy/paste functionality and gyroscope sensor support. 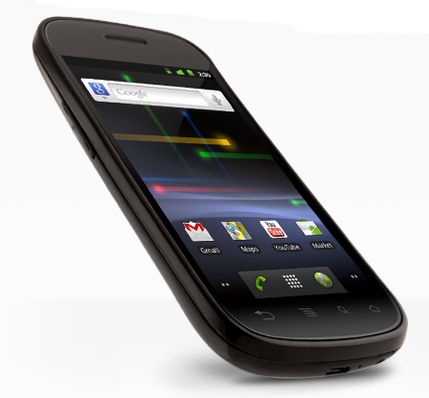 Unlike the Nexus One, Google is not going to sell the Nexus S on their own. However, it will be available unlocked which means users are not tied down to a particular carrier.